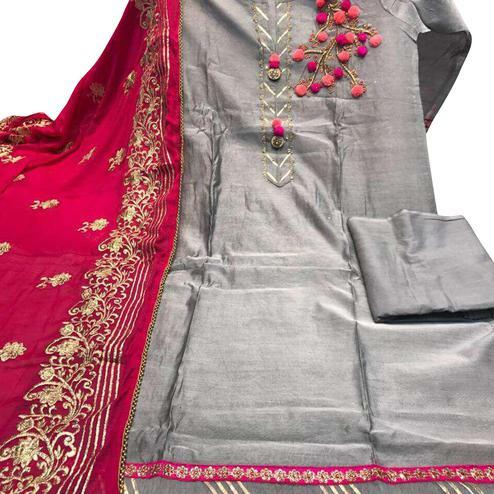 This adorable white color cotton fabric unstitched suit featuring thread embroidered work done at the top and contrast baby pink color lawn cotton bottom as shown. 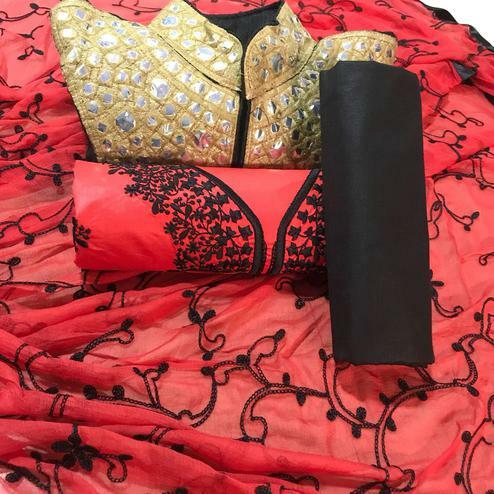 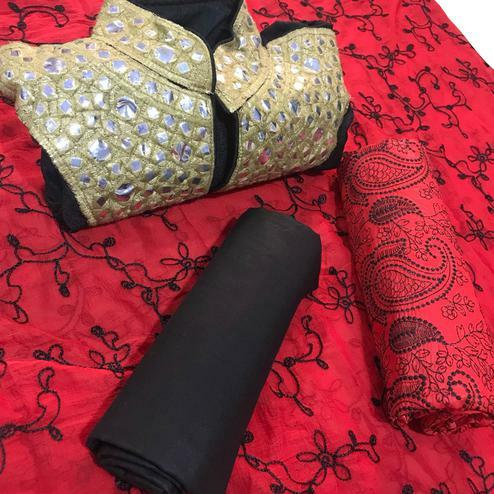 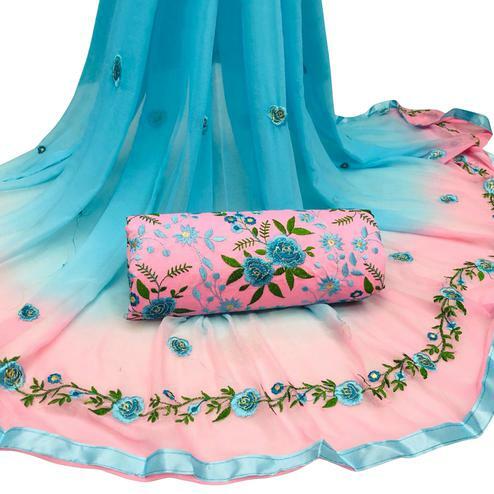 Matched with chiffon dupatta having lace border work. 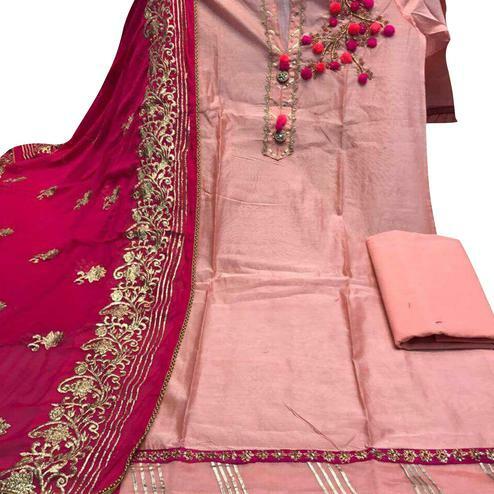 One can wear suit for casual purpose once it has been stitched as per the wearer style and comfort.